The state’s average 2016 temperature of 31.9 degrees Fahrenheit was 5.9 degrees above the long-term average, and 1.6 degrees higher than the previous record annual average, set in 2014. That is more than a record; it is “extreme,” said Rick Thoman, climate science and service manager for the National Weather Service in Alaska. The last three years, in fact, have been the three warmest for Alaska since record-keeping began in 1925, and the four of Alaska’s five warmest years on record have been in the 21st century. The warm-weather records were included in a national overview by NOAA’s National Centers for Environmental Information that reported 2016 was the second-warmest year on record for the United States as a whole. 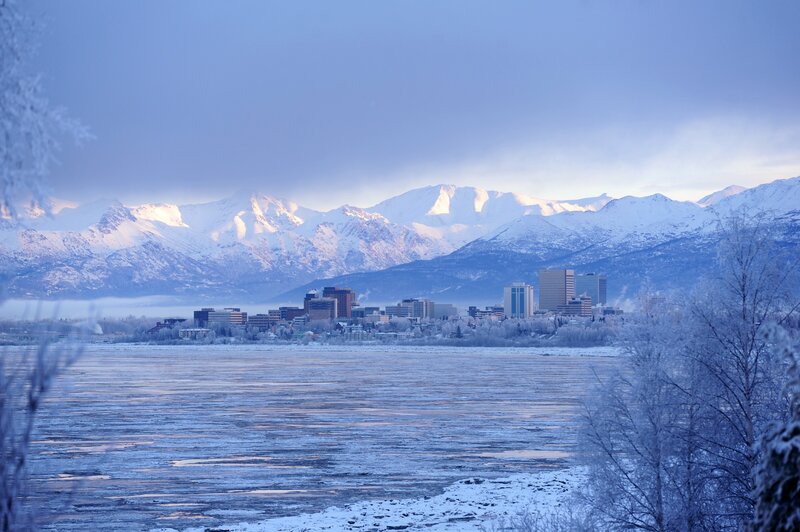 The report included documentation of weather records in various cities around the nation, including Juneau, Utqiagvik (Barrow), Nome and Bethel. The past few weeks, at least in populous Southcentral Alaska, have told a different story. Sea-surface temperatures in the Gulf of Alaska have cooled, after a prolonged period of warmth, and Anchorage’s December temperatures were 3 degrees colder than the long-term average, according to the National Weather Service. “La Nina is perhaps a factor in the sense that it’s not El Nino. We don’t face that persistent southerly pattern,” Thoman said. Without the extra warming factors that were present last year, “2017 is not going to be as warm as 2016,” he said. Very cold weather, “even by Alaska standards,” is expected to sweep in later this week and persist through next week, he said. “That’ll remind people where they live,” he said. “It’s going to be tough to get really extensive ice in the Bering Sea. There’s just not enough time left,” he said. Arctic-wide, there’s much less sea ice than normal for this time of year and the ice on the sea is reported to be thin, Thoman said. Extent, defined as areas where ice covers at least 15 percent of the sea surface, was the second-lowest last month for any December in the satellite record, the Colorado-based National Snow and Ice Data Center reported. Current conditions suggest another very low Arctic sea-ice minimum after the coming summer’s melt, Thoman said. Last year’s minimum tied for the second-lowest in the satellite record.